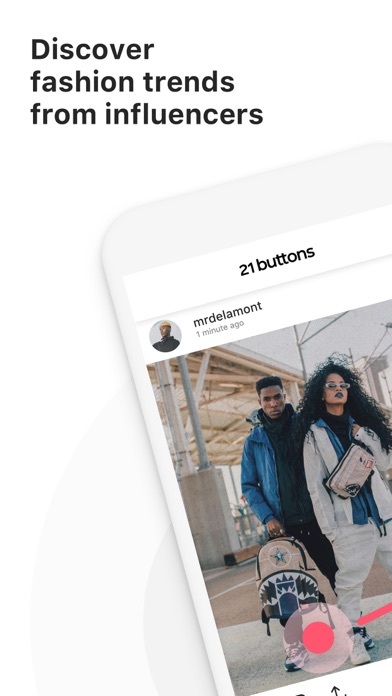 Developer: 21 BUTTONS APP, S. L.
I am on LIKEtoKNOW.it too and I think 21 Buttons is way more user friendly ❣️ download it ASAP! Impossible to use if you have an iPhone SE. You can’t complete sign up because you can’t go past the country selection step (« Continue » button is not clickable because of format issues). Pretty disappointing. Well I really love the idea and concept of this app but it just doesn’t work the way it is supposed to. I was thinking this app was going to be amazing ! 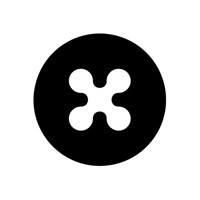 Unfortunately, after I downloaded it and spent time looking through many different looks I found that majority of clothing tagged is not accurately represented and most of the time it is different from what the website shows and sells. So the clothing shown/pictured is not the clothing being sold. I waisted so much time and I’m actually very disappointed. I cannot believe ,when I tried to sign up everything was perfectly fine but when it reached to select a country,it doesn’t let me press on continue !!! Please fix this problem. I really like the app and want to be able to find outfit ideas. I also like that it shows you where you can buy the clothing items. However, I cannot search for plus size fashion. When I type in “plus size” in the search bar, it says “no results”. As a plus sized woman this makes it difficult to use the app. If you could add this feature, that would be great. Would be cool if you could filter the home page to be of your gender. A feature should be added to add tags and to be able to search for tags. 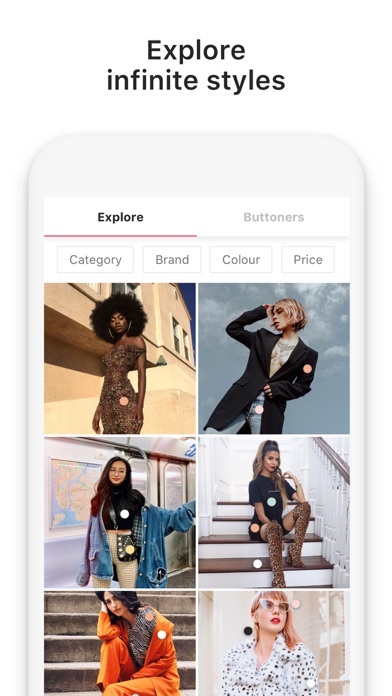 This would make it a lot easier to find specific fashion you’re interested in and also make it easier for profiles to be found and get out there. I find my feed doesn’t express my fashion taste at all and it is hard to discover. I do want use this app but I registered and the language is automatically turned German. I live in Germany but it doesn’t mean that I speak it perfect I just can’t understand it and can’t find the language change section. I tried to sign up for this app, but there was a glitch when I tried to make an account. The app doesn’t let me continue after I select the region I live in. I tried signing up when my email and Facebook but they still can’t make it past this question. I also tried redownloading the app but it still didn’t work. If they fix this issue I will delete this review. Im enjoying this app especially , now it's with US ! But is there anyway we can button makeup brands too? That would be cool ! Other than that , there's really no Problem. I love it because it always gives me great inspiration for clothing and I always have an idea on what to wear! I would recommend this app 100%!!! I love this idea but is there a way to sort by location? I am in the states and find most the buttoners on my feed from another country which means I can’t purchase their items. Under profile settings the only link that doesn’t work is the one for users to provide feedback. Because they falsely advertise the user’s ability to ‘Send Feedback’ - I guess they want a review? Overall, the concept piqued my interest momentarily, but the app is super lame! 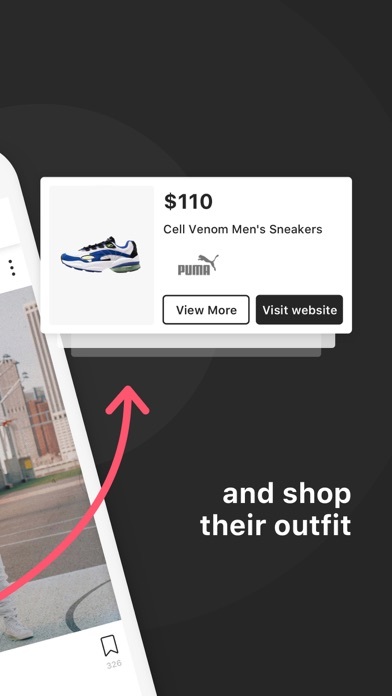 I like this app but I don’t see on here where anyone can buy an item and get paid like it advertises on the video.Im in USA and I don’t see the option.I see the option of where it goes to the link and see people look at my items but I don’t see where the buy button is so that users can get paid some if they buy the clothes.Am I looking in the wrong area or it isn’t on the USA version yet? I love this app because it really allows you to find your style and get inspired to create your own outfits. The only problem is that I’m not really sure how to find people and get people to find me. 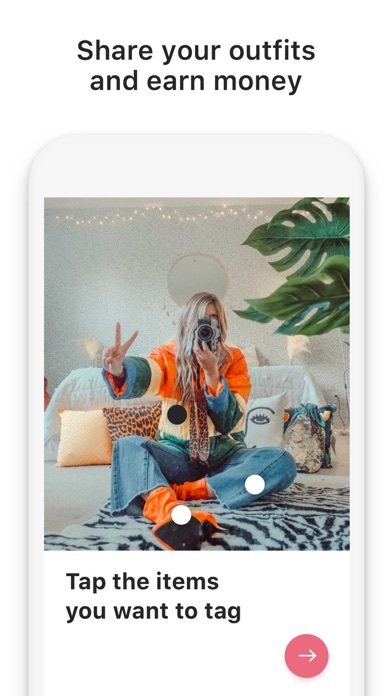 I think it would be a great idea to have hashtags or something that will allow people to find what they’re looking for, as well as gain followers. My following list is a negative number after unfollowing people? Well since I live in the United States, I would love to see links for American websites, otherwise if there are brands which send world wide, the version of their websites open for Europe, so on I see names in Italian/Spanish/Dutch, which makes it impossible to find it in the United States website version, and sometimes impossible to use since I don’t know the language and when I switch it, it already gives me their home page and when I reopen the page with the piece of cloth I want, same problems happens again and I have to switch the language again and again it will push me to their home page. The idea of the app is great but not for the ones who live in the US. 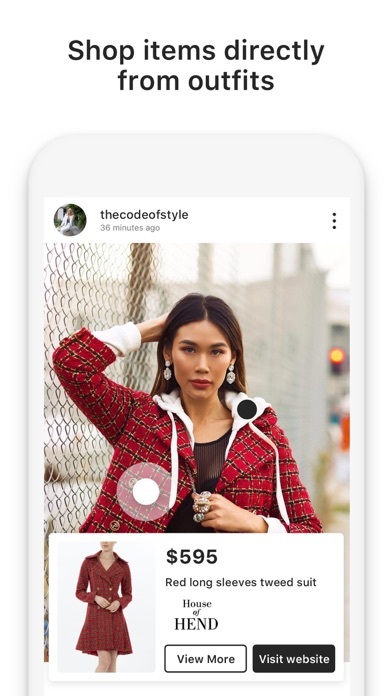 The app is a great form of sharing fashion through a new social media. my ONLY complaint is that it is pretty hard for a new account to start up. 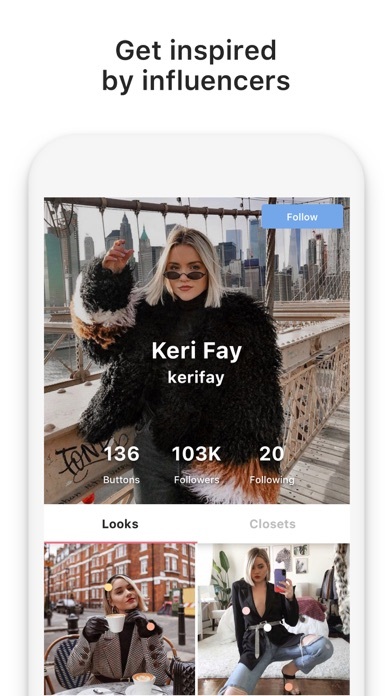 While many other apps use the Explore page to discover and find accounts regardless of how many followers, 21 Buttons makes it quiet hard to startup and get views and followers. Granted this is a starting up app and i am sure in the future it will have much more features to look forward to but for now, its a truly one of a kind amazing app! ALSO, I do hope the developers continue to add a greater range of brands to their app so there will be less web search, for the one click options for brands they already have make life extremely simple!! thanks for making it available in u.s! Been waiting for an app like this! Perfect for inspiration on my daily outfits. I’ll use this everyday!!! !